I'm pretty sure it's an '07. I'm glad you enjoyed trying it even though you didn't like it. It's good to try something different or something you know that isn't that great every so often. That way it reminds you of what is good and what you enjoy. 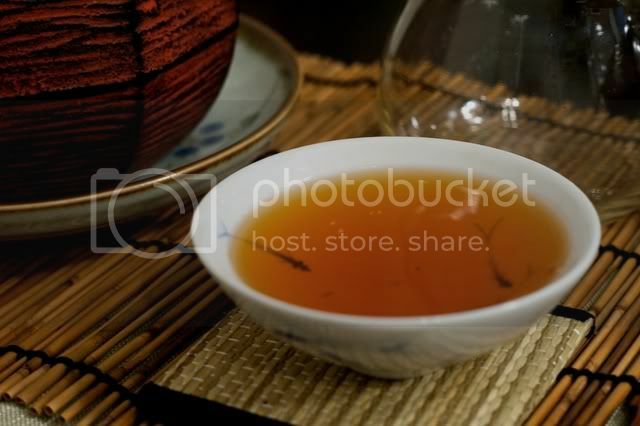 If you only drank the finest teas you would forget that they are the finest for a reason. 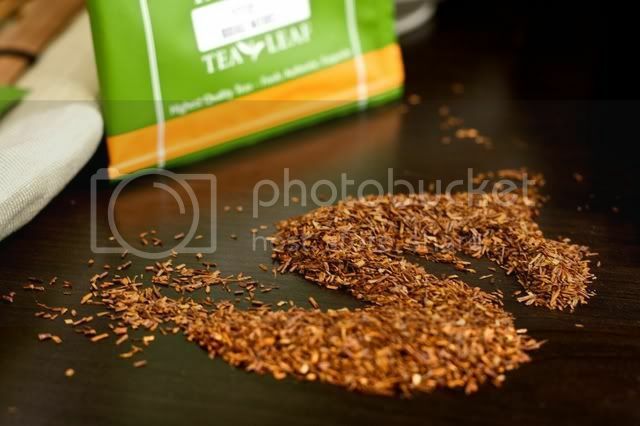 Rooibos by the way is a product derived from a bush, most of it is leaf, but there is stem mixed in as well. I can't really tell the difference between them though. Thanks for the tip. I don't have any more left, though, and after my reaction I doubt I will buy any. Still, it's good to hear that it works! By the way, you may not have liked the rooibus but your photos were quite nice. 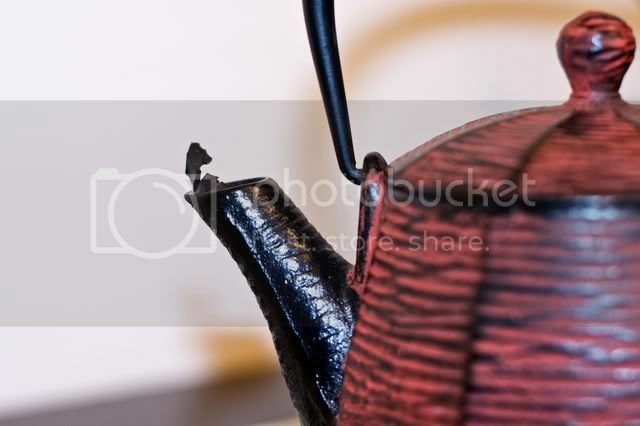 The color of the tetsubin nicely complimented the color of the tea. rooibos always kind of smells like green olives to me. no matter how hard i try, that's the main association i have with that particular scent. 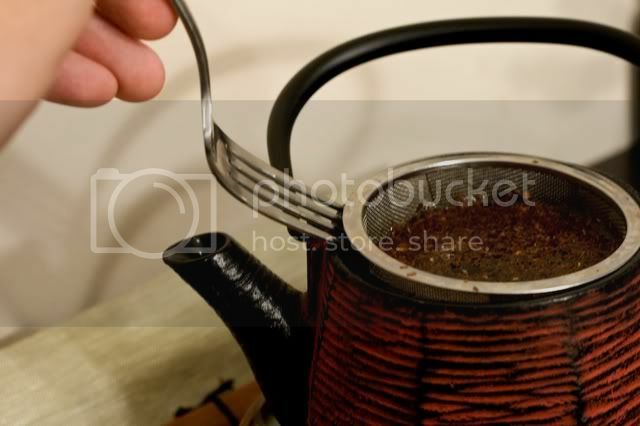 You can't really overbrew it. I do about 2-3 teaspoons per 15oz for 3-?? however many minutes I remember it. Your rooibos needs some vanilla like mine. Maybe add some zucchini. Thanks! The any color coordination was completely accidental, but there's nothing wrong with a little luck every now and then! Vanilla maybe, the zucchini you can keep. Hope you'll try Rooibos again. I like bagged Red Mellow Bush from Numi Tea and loose from Upton Tea Imports. The plant, Aspalathus linearis, is South African in origin. See http://www.pfaf.org/database/plants.php?Aspalathus+linearis and http://www.plantzafrica.com/plantab/aspallinearis.htm. Thanks for the idea Eileen. "Try it next time you're feeling seriously under the weather." My wife's family is Chinese so we always have some natural remedies. Just made a potent tea of elderberries, astragula root, fresh ginger, and silver needle white tea for my cold ridden sister. I think the tea scared the cold away! It worked anyway. Just tasted a Blueberry Rooibos today. Not bad but the flavoring masks the tea with the typical flavored teas. I'll have to try a custom blend.